Pipe cleaner art activities have been on the agenda lately. There have been pipe cleaner flowers and gift baskets made with the bendy craft material. We’re going back to the flower art, but with a twist this time -- making a soft sculpture. A few weeks ago a bought a mega-stock of thick craft sticks. I usually reuse popsicle sticks, but being that it’s only spring – I haven’t been buying summer-time treats. So, instead of a random few leftover sticks, I now have a giant bag of them. What to do? Last week the craft sticks became caterpillars (which then became butterflies!). This week I’m going back to the flower idea. 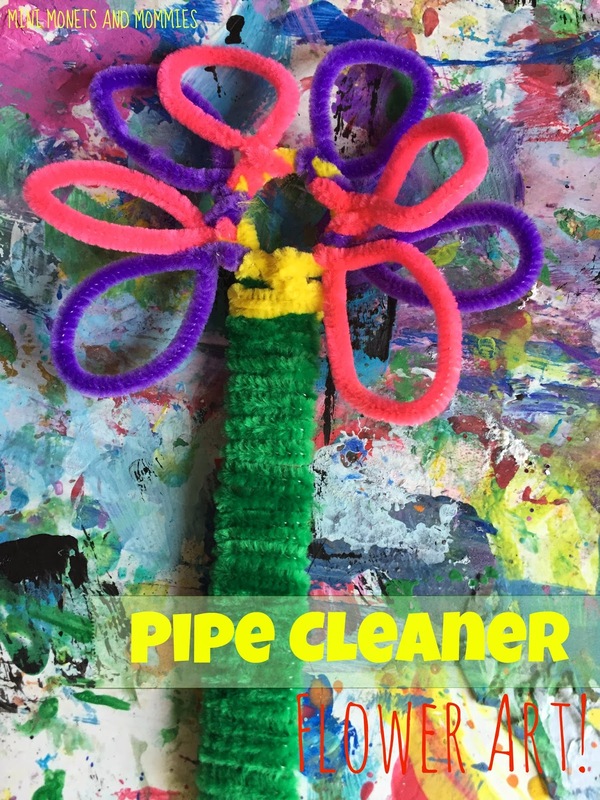 This is an easy kids’ art activity that has almost no mess (unless the cat gets ahold of the pipe cleaner pack – then you’re in trouble). It also works out your child’s fine motor skills in a relatively stress free way. The looping and twisting motions require eye-hand coordination, but aren’t so intricate that your child will easily frustrate. You can also do this craft almost anywhere. 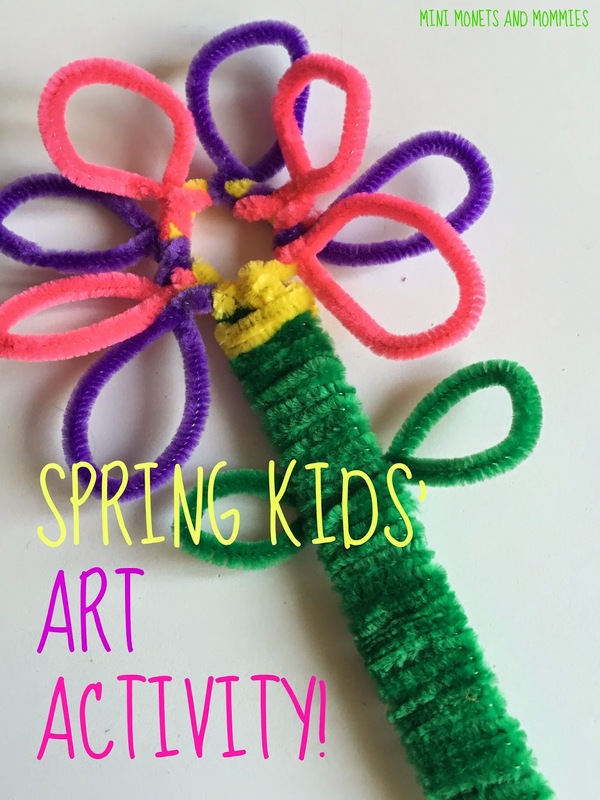 Pack up the materials in a bag and take them off to the park for some outdoor art-making or bring them on a trip away from home (grandma will probably appreciate the less-mess pipe cleaners over finger paints and glitter). 1. Wrap a green pipe cleaner around the craft stick, starting at the bottom. Your child will likely need several of them to cover the stick completely. 2. Bend a pipe cleaner into a loop. 3. Wind another pipe cleaner around the first. 4. Make a loop, twist it (your child is now making the flower petals) and repeat. 5. Keep on repeating with different colors to make more petals. 6. Twist the end of the flower around the top of the green stem. 7. Curve, bend and twist another green pipe cleaner around the stem to make leaves. And that’s it!!! Your child has a flower sculpture. 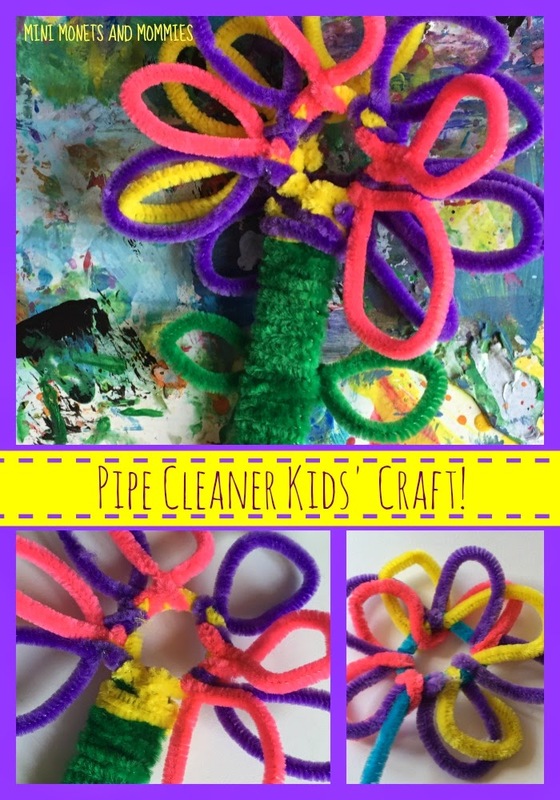 Are you looking for more creative kids’ crafts? Follow my Pinterest board for ideas!